Looking Forwards – by Rebekah Ong | JustRunLah! The first half of 2017 has quickly came and gone. Just the first half of this year I have taken part in 6 run events, my last one being Run Free which was at the beginning of May 2017. Though I may not have any run events lined up till August 2017, I have been keeping to my weekly running routines. Not having any run events doesn’t mean it’s an excuse for me to stop running. Having recently read an article titled “Losing Motivation? Here Are 5 tips To Keep You Training, Running and Racing!” on JustRunLah website, I thought “Tip #5 – Find A Running Buddy/ Running Group” was is a really useful tip. For those that follow me on Instagram, you will know that I recently joined the Superhero Runners for their weekly Tuesday training sessions. The Superhero Runners were founded by four friends (Nelson, Neyton, Sebastian and Paul) who loved running and wanted to encourage running as an exercise, and to inspire others to adopt a healthy lifestyle. With their prominent superhero outfits, they are easily spotted at local run events! Joining this group has kept me motivated to keep running! I might have mentioned that I am not a fast runner in my previous posts but with the Superheroes giving me the encouragement, I do see myself wanting to do better. During these training runs, I would be one of the last few runners to finish but that does not discourage me because I know I have put in the effort in trying. After the running portion of the training, there’s normally a short core training or stretch session but sometimes it could be a combination of both! Though these sessions are short, they do pack a punch especially after a training run. These are essential for us as it helps train and strengthen the other parts of your body. I find these sessions helpful as sometimes I lack the discipline to do them on my own. Joining the Superhero Runners is also a great way to make new friends. Arrive early, during runs or after training session are fantastic opportunities to mingle with the group. They are a fantastic bunch and super friendly! Conversations are never boring and definitely filled with laughter! 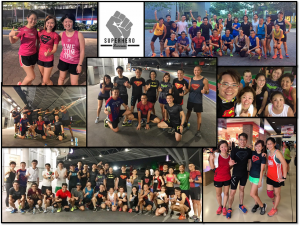 If you would like to join the Superhero Runners, be it you are a beginner or veteran, all are welcomed to drop in every Tuesday to enjoy an evening run with the group. You can follow the group on Instagram @Superherorunners or Facebook at SuperheroRunnersSG. 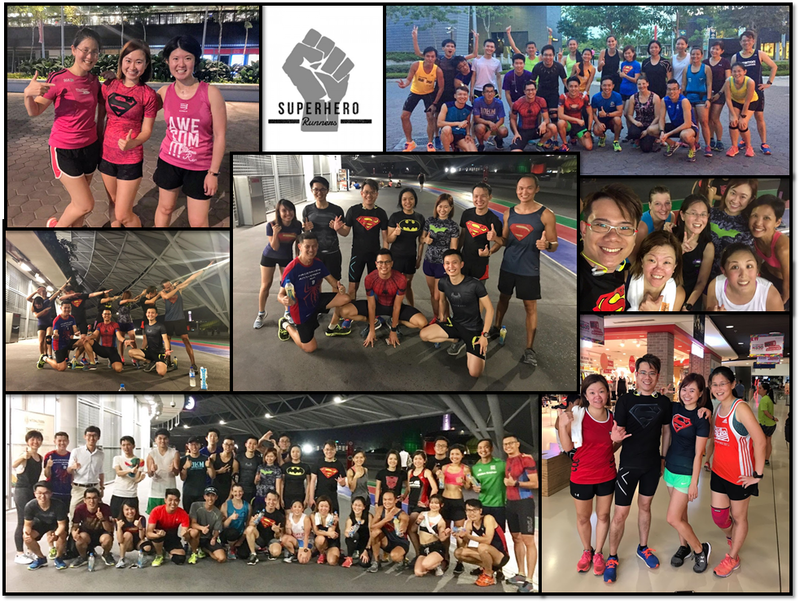 The Superhero Runners are the motivational run leaders at 2017 Singapore edition of The Performance Series. So keep your eyes peeled and catch them at The Performance Series! Another that I did to keep myself active and not slack was to sign up for an Aqua Aerobics class. I previously mentioned that I was keen to try out an aqua spin class but there was none that fit my schedule and budget! 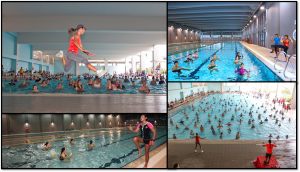 I was lucky to find an alternative which was Aqua Aerobics from the ActiveSG website! 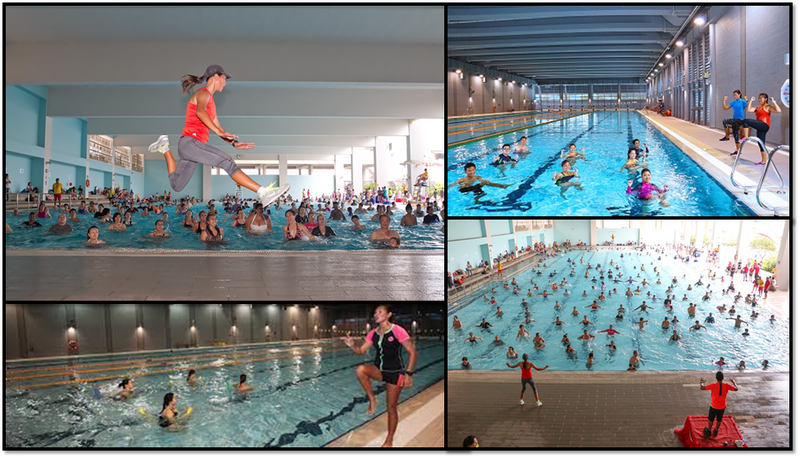 The Aqua Aerobics class would be held at Yishun Swimming Complex for a period of three months and it starts in August 2017. Aqua aerobics is a low impact aqua workout with music accompaniment that requires no swimming skills. I used to do traditional aerobics during my gym days and I wonder how different it’ll be from the norm which I’m used to. I’m actually excited for that class and will probably share more of my experience when the time comes. Besides the training with the Superheros Runners on Tuesday and the upcoming Aqua Aerobics class, I still do my weekend runs with my awesome running buddy, Cheng Yee! To keep things interesting, we make it a point to run at different places and try different routes. We do enjoy a change once a while and it motivates you to get up and keep moving. 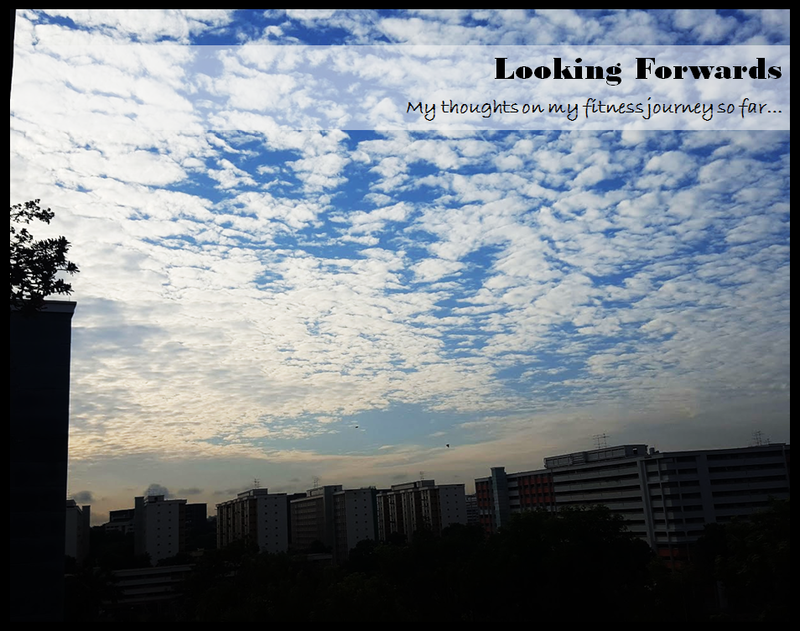 So far, we have ventured to the Marina Promontory, Bishan Park, MacRitchie Reservoir Park etc. Other places in the works would be Woodlands Waterfront, Lower Pierce Reservoir etc. Well, hope with my sharing you’ll be able to find that motivation to keep that workout routine alive and fun! I’m definitely looking forward to my next run event and as always, I’ll share with you what I thought about the event. Till my next write-up! Let’s all #RunHappy to stay happy! I am oso exploring new run routes. 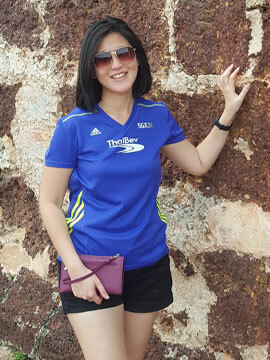 Macritchie be trail running. Interested to explore Yishun. Are you able to share ur running routes? (3) Run all the way straight and cross the road to Lower Seletar Reservoir Park, continue heading up to Orchid Country Club and head to the Yishun Dam. 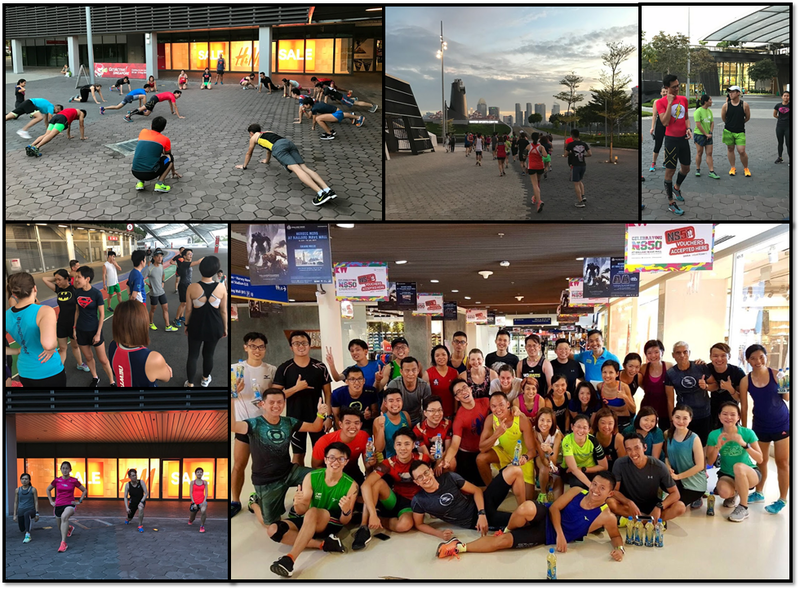 (4) Run in the direction of Northpoint using the park connectors and head to Sembawang Park.